It’s great when a dish unexpectedly comes together. I’d picked up this Israeli cous cous at Mick’s Nuts (!) a couple of weeks ago with no plan for it in mind, but just because I love it and don’t come across it all that often. It’s the texture that I love – like eating mini-marbles! Then at the market on the weekend S casually pointed out a bunch of heirloom carrots at a stall we were strolling past, and while I was at the register about to pay for them, a big pile of sunset-coloured pomegranates tempted me, so I got one of those too. The rest came together pretty easily. I’d been wanting to whip up a batch of date syrup to use as an alternative sweetener for a while now, and we always have fresh parsley and mint in the fridge. My mum had just sent me a bag of rose petals (which I had in mind for a whole other dish that I haven’t gotten around to making yet), and we had some baharat spice mix left over from the meatballs that S cooked a while back for our Middle Eastern Feast. This dish is as much a visual and textural feast as it is a tasty one. 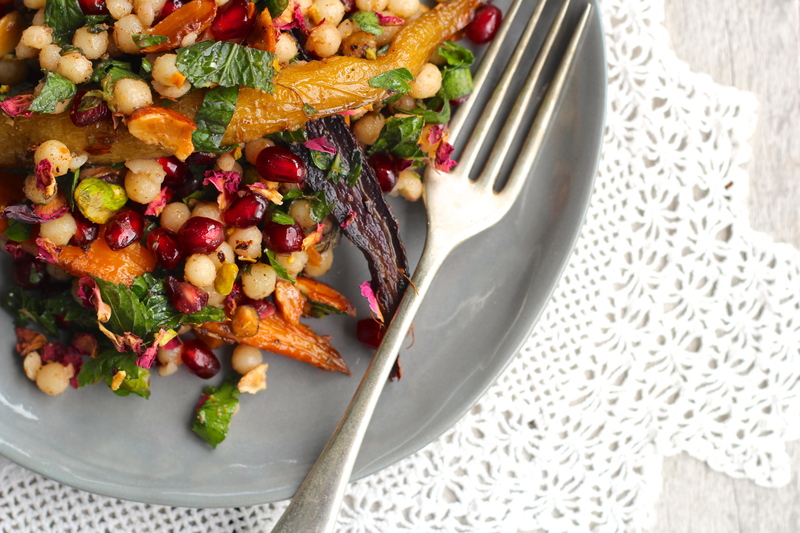 The colours are so vibrant – jewel-bright pomegranate seeds set against green herbs, with the more muted colours of the carrots and cous cous as the background. 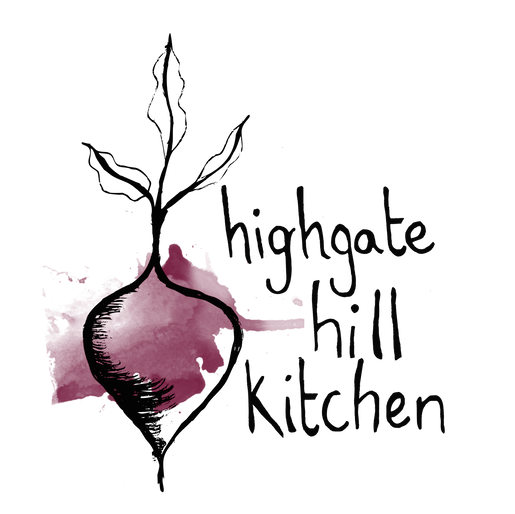 And the textures are like a party in my mouth – crunchy nuts, marble-like cous cous balls, soft roasted carrots, and the sharp wet tang of the pomegranates. Plus, it is delicious! We had it for dinner as a warm side dish with a piece of baked salmon, and then I ate the cold leftovers on their own for lunch the next day. Next time I make it, I’m going to pair it with thick slices of roasted eggplant, homemade hummus, and warm pita bread. You’d also be onto a good thing, I’m reckoning, making such a pretty dish like this for a dinner party. Trim the green tops off the carrots, wash, and slice in half lengthways. Place in a single layer on your baking dish, cut side down. Drizzle with olive oil and use your hands to make sure the carrots are coated in the oil. Sprinkle with salt and bake for 30 – 40 minutes, until the carrots are tender and crisping at the edges. In the meantime bring a pot of water to a rolling boil, add a generous splash of olive oil and salt to the water then turn down the heat, pour in the cous cous, and cook for approx. 15 minutes. The cous cous is ready when it is tender with the slightest bit of resistance in the centre. Drain the cous cous well, then put in a large bowl with a drizzle of olive oil together with the baharat spice mix, stirring to coat the cous cous well. Set aside. Roughly chop the almonds and pistachios, either with a knife or in a mortar and pestle, and dry toast in a pan on the stove top for just a few minutes. As soon as they start to colour, set aside to cool. 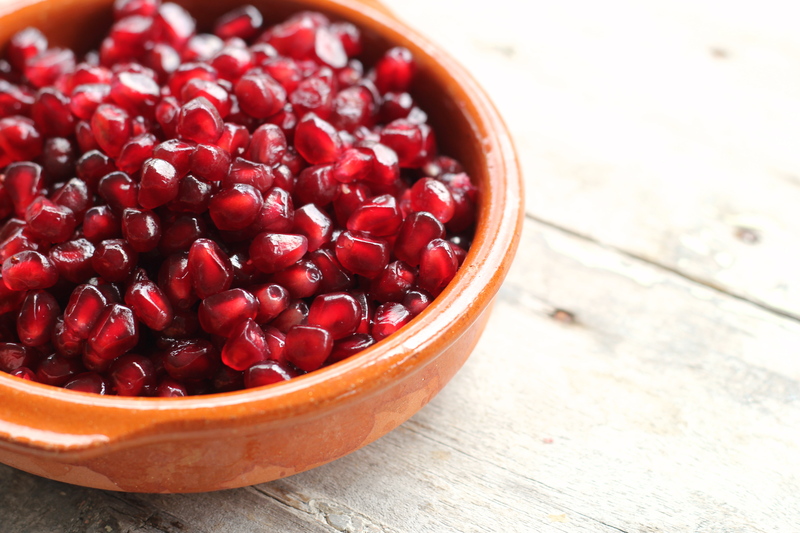 In the meantime cut open the pomegranate and reserve all the seeds in a bowl. Make the dressing by whisking together the olive oil, date syrup, and apple cider vinegar. 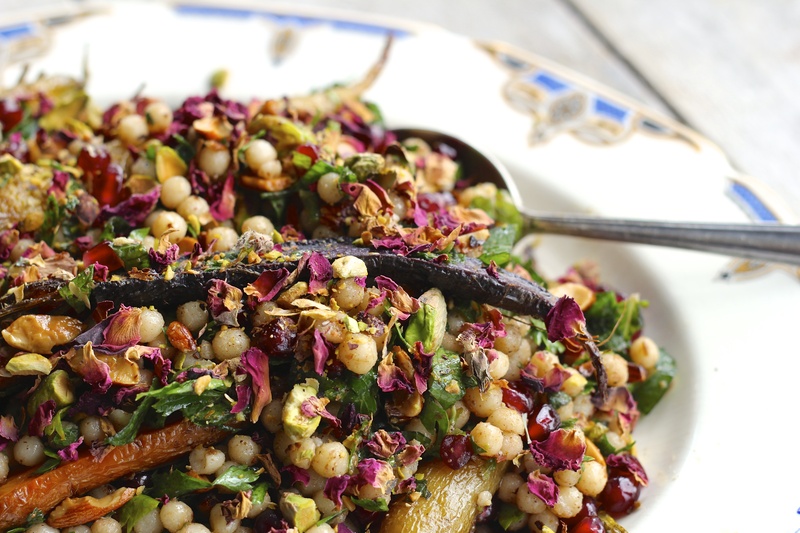 Chop the mint and parsley and add to the cous cous along with the pomegranate, most of the nuts and rose petals (reserving a few of each to serve), and the dressing. Stir through, then add the carrots and gently mix to combine. Serve topped with the remaining nuts and rose petals. 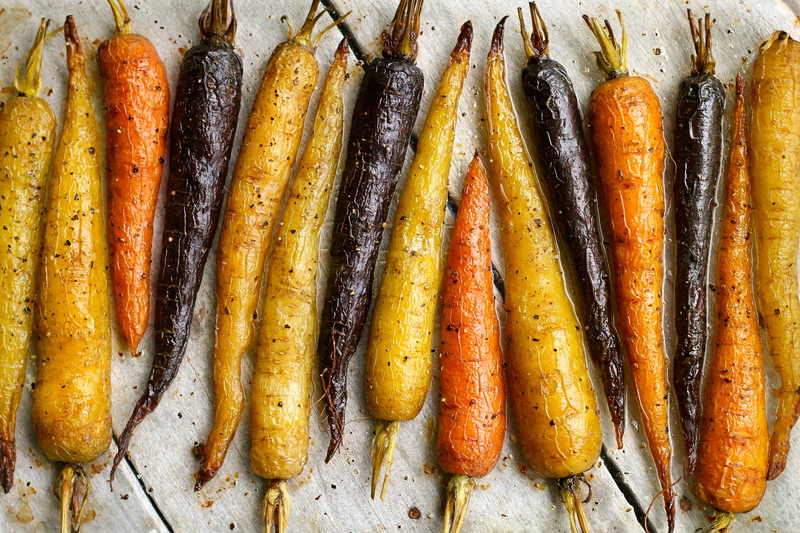 Notes: if you can’t get your hands on heirloom carrots, then regular baby carrots will do just fine. Likewise, if you can’t get your hands on Israeli cous cous, you could use regular cous cous, or even barley or freekeh. You will probably be able to find Baharat Spice Mix at a Middle Eastern grocer, but it is just as easy to make your own. 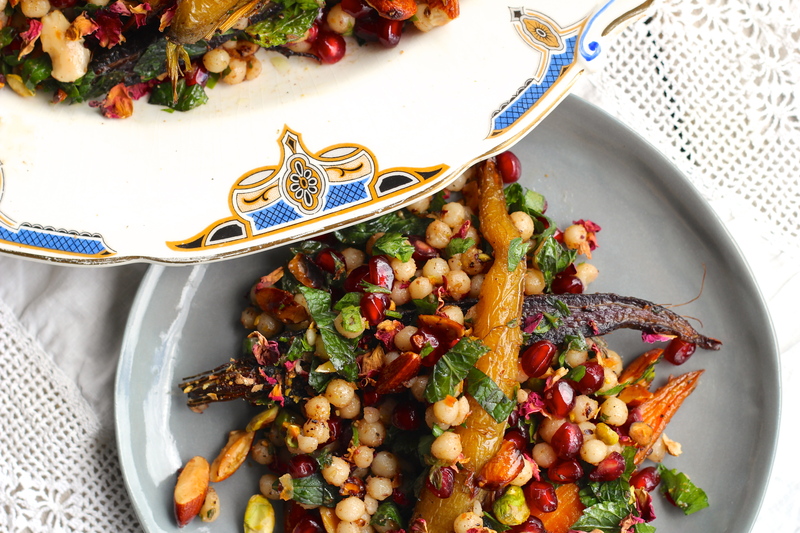 The following mix is taken from Ottolenghi & Tamimi’s Jerusalem cookbook (with some slight variations). It makes more than you’ll need for this dish, but will keep in a sealed jar for a couple of months. Place all the ingredients into a mortar & pestle and grind until a fine powder is formed. Easy!